Is there a passion for football in Italy? Sure there is! However, that is not all there is to it… Culture, history and a competitive spirit all play a part in this exciting sport, which is genuinely popular. When a goal is scored and the fans burst into a triumphant roar, the whole stadium vibrates with emotion and the effect is indescribable! It's an explosive moment, a moment of unrestricted joy , one incredible moment of freedom from restraint… Naturally, there is disappointment for those on the other side, the goalkeeper who failed to save the goal, the upset at being defeated … anyway whatever way it may go, strong feelings prevail among those in the grounds. If it is true that football is the most popular sport in Europe, then a visit to those emblematic places is worthwhile and very interesting for all enthusiasts. Two important venues can easily be reached from La Darbia: the new and recent Allianz Stadium in Turin and the mythical San Siro stadium in Milan. 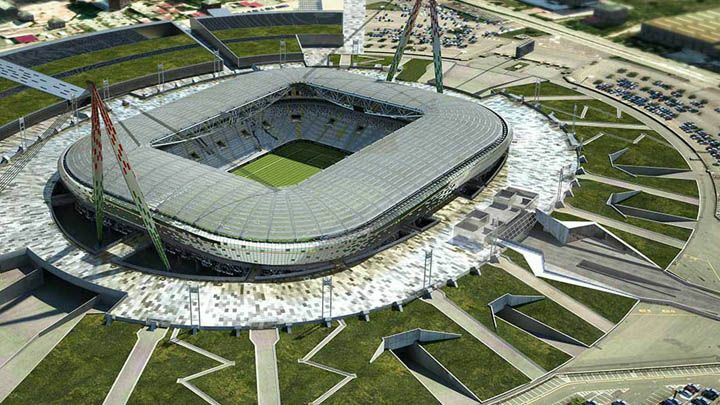 Allianz Stadium, which belongs to the Juventus Football Club association, is a large modern rectantangular structure which can host over forty thousand spectators, built on the site of the previous and recently demolished sports stadium Stadio delle Alpi. This avant-garde sports structure, inaugurated in 2011, is free of architectural barriers and has become one of the landmarks of contemporary Turin. For the really keen enthusiasts, the proximity of the seating to the field, the benches built into the terraces, the convenient access ramps, the extent of the covered stand area reminiscent of airplane wings, represent an opportunity to enjoy the spectacle of a game in full. The Stadium may be visited at any time, simply by buying a ticket which provides access to the most exclusive areas of the grounds : the conference rooms, the changing rooms and the pitch itself. 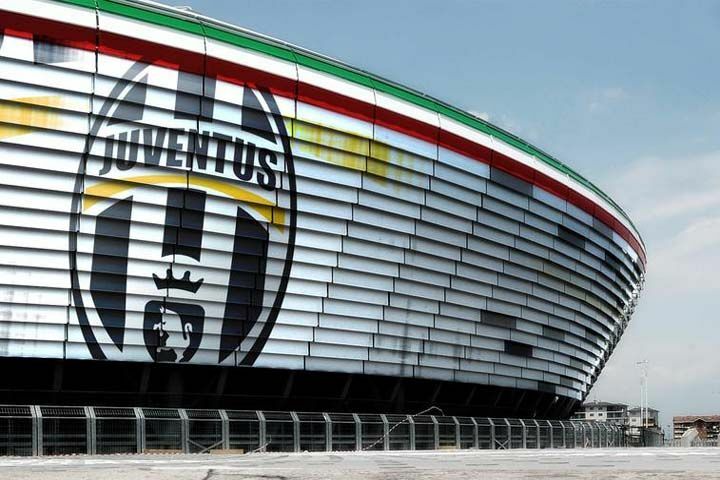 Inside the huge Juventus “quarter” you will also discover the famous J-Museum, the official exposition centre for the black and white team, where trophies, photographs and football paraphernalia are displayed. In the outer perimetre of the second ring there is a sort of Walk of Fame, the so-called “Cammino delle stelle”, to commemorate the footballers who have made the club's history and also the 39 victims of the 1985 tragedy in Brussels at Heysel. Therefore, I think a visit to the Allianz Stadium should be an exciting and interesting experience for anyone, not only Juventus supporters. like a spaceship has landed in the suburbs of Milan”. It opened a long time ago in 1926 and was refurbished several times before hosting the World Cup in 1990. San Sirostill remains one of the most important stadiums at an international level and has an adjoining museum which relates the history of the city's two great teams, Milan and Inter, by means of a collection of memorobalia, historic football jerseys, cups and trophies, footballs, scarves and objects of all sorts. 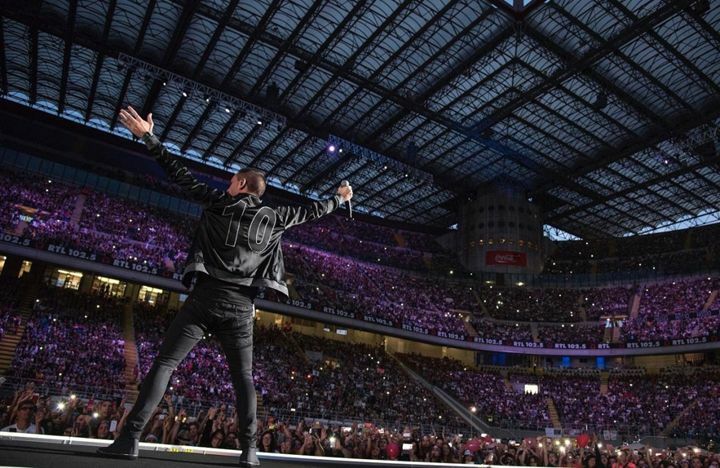 Furthermore, it is a regular venue for concerts by famous Italian and international artists … ( Bruce Springsteen, Coldplay, Vasco Rossi and Laura Pausini to mention a few). Even Pope Francis, during his pastoral visit to Milan, visited San Siro where he was acclaimed by the faithful in their thousands. I like to think of stadiums as venues rich in emotions, places where people share passions and dreams, historical and cultural sites, a legacy for the entire community, symbolic of a country's development and an instance of architectural beauty. This reminds me of the words of the great Pelè who claimed that fooball was «music, dance, harmony… there is nothing more exciting than a bouncing ball”.